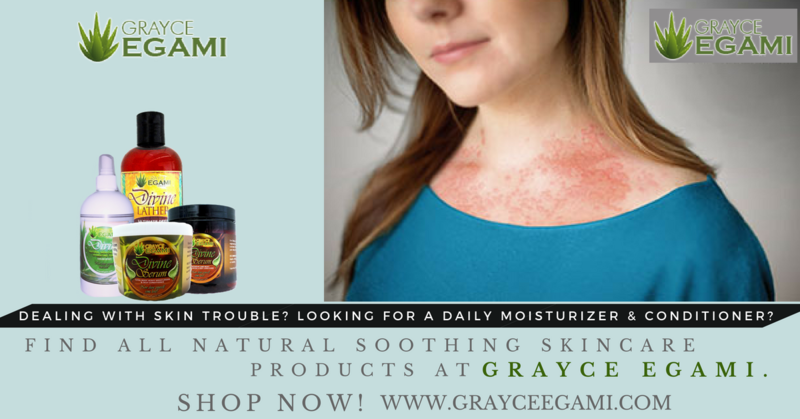 Grayce Egami | Natural Skin Care Products | Show Your Skin Some Love! 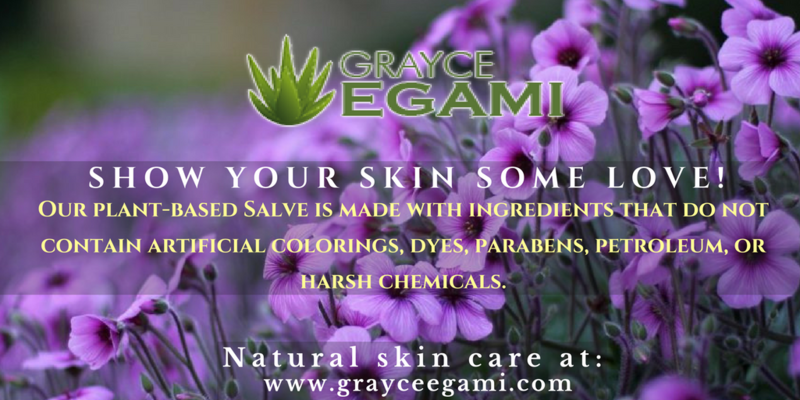 At Grayce Egami we are known for our Divine plant-based moisturizers to assist with conditioning dry and damaged skin. Our products are made with pure fresh aloe nectar, olive seed extracts, unrefined shea butter fruit, and naturally occurring vitamin A, B, & E. Our products encourage healthy skin & hair maintenance. Our plant-based Salve is made with ingredients that do not contain artificial colorings, dyes, parabens, petroleum, or harsh chemicals. 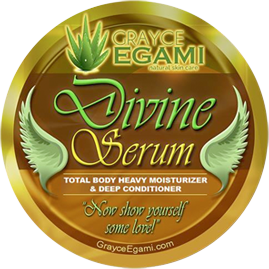 Divine Serum™ Basic Care moisturizing Salve works effectively to condition basic to dry or damaged skin & hair. Divine Serum™ is a plant-based, paraben-free moisturizer made with a puree of fresh aloe nectar, olive seed extracts, and authentic shea butter fruit. Our salve is a power-house of nutrition for the skin with naturally occurring vitamin A, B, & E to encourage healthy skin & hair conditioning. 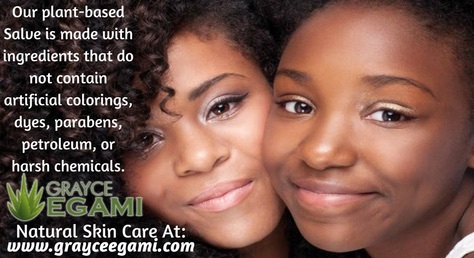 Products do not contain artificial coloring, parabens, petroleum, or harmful chemicals. 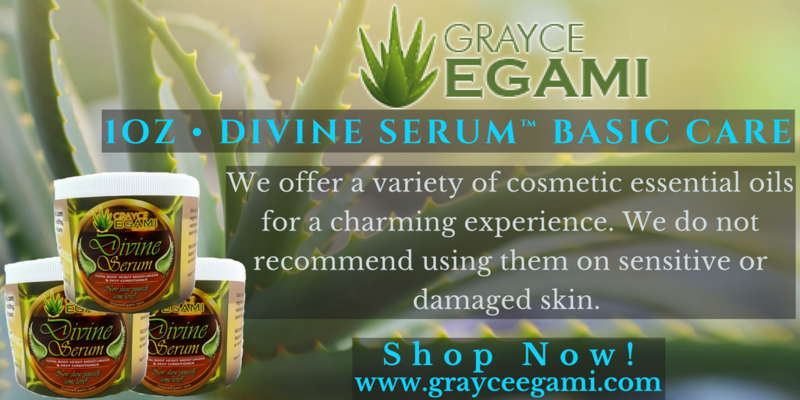 WHY USE DIVINE SERUM™ BASIC CARE SALVE? Use as an emollient to deeply moisturize and condition the skin. May soothe skin burns, sores, wounds, and support skin rejuvenation. Encourages skin’s elasticity and flexibility being naturally rich in essential fatty acids. Contains naturally occurring protein, calcium, magnesium, zinc, vitamin E, A, & B, and Linoleic Acid. Also helpful for dry Hair, flaky/burned Scalp, and cracked Cuticles. Vegan-friendly & Safe for long-term use. 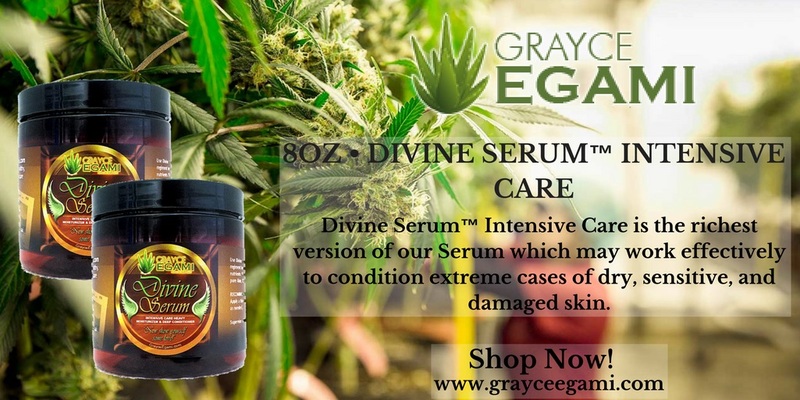 Divine Serum™ Intensive Care moisturizing Salve is the richest version of our Divine Serum which may work effectively to condition basic to dry, sensitive, or damaged skin. We do not serve fragrance essential oils with our Intensive Care Line only wellness blends with therapeutic essential oils. Our salve is a power-house of nutrition for the skin with naturally occurring vitamin A, B, & E to encourage healthy skin & hair conditioning. Products do not contain artificial coloring, parabens, petroleum, or harmful chemicals. 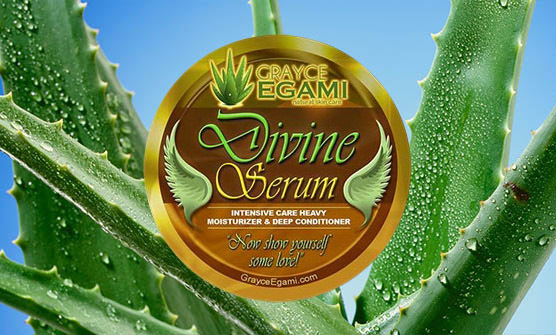 WHY USE DIVINE SERUM™ INTENSIVE CARE SALVE? 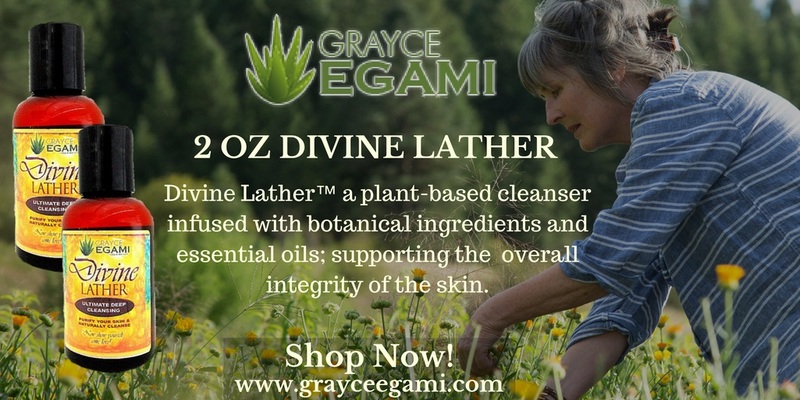 Divine Lather™ is a plant-based skin cleanser made with natural ingredients from aloe vera, olive seed extracts, shea butter fruit, purifying black soap, & therapeutic essential oils. Works well to cleanse minor infections and superficial wounds. Effectively removing clogging oils, debris, dead skin, and bacteria overall supporting the skin’s health and integrity. We Do Not Use: Artificial Colorings, Parabens, or Harsh Chemicals. 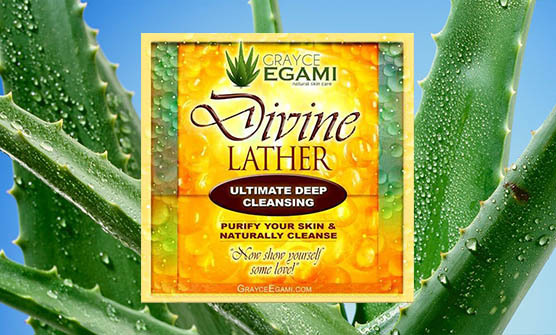 WHY USE DIVINE LATHER™ CLEANSER? Use as a gentle hydrophilic oil based cleanser. 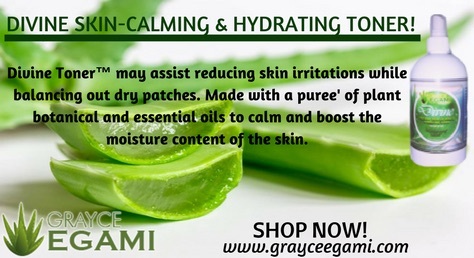 Use to relieve minor acne & pimples. Cleanse away debris, facial makeup, and dead skin cells. 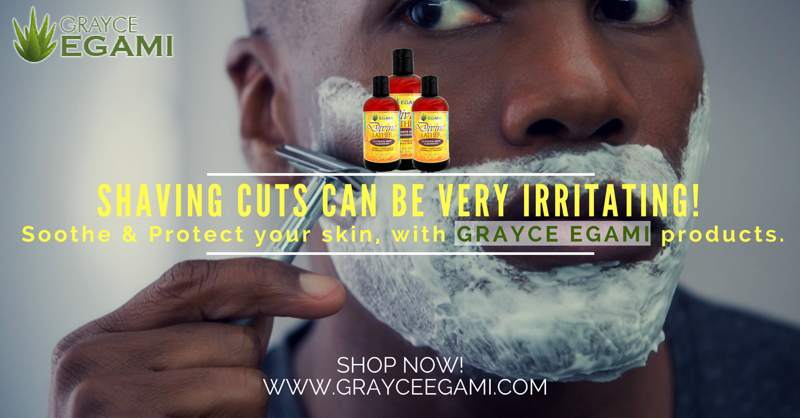 Cleanse minor skin tears, and cuts protecting from infection; Before after shave. 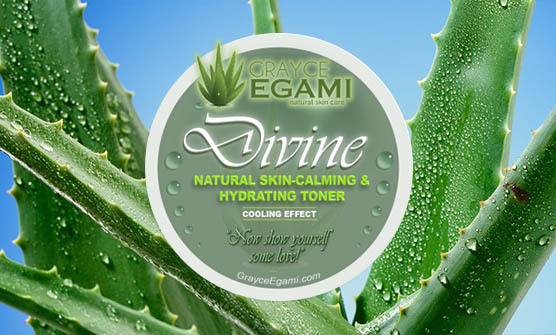 Divine Hydrating Toner calms, moisturizes, and deeply conditions dry or damaged skin. 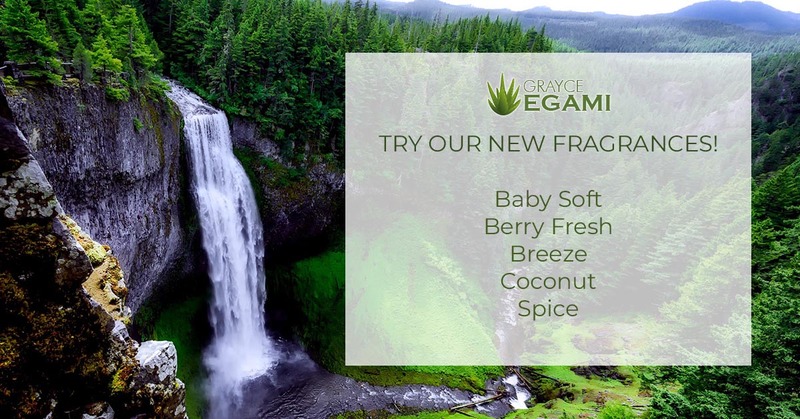 A blended puree’ of plant botanical, natural astringents, antioxidants, and essential oils. Divine Toner™ aides to balance out the skin’s surface porosity to help retain moisture for hours and soothe skin irritations. WHY USE DIVINE SKIN-CALMING & HYDRATING TONER? 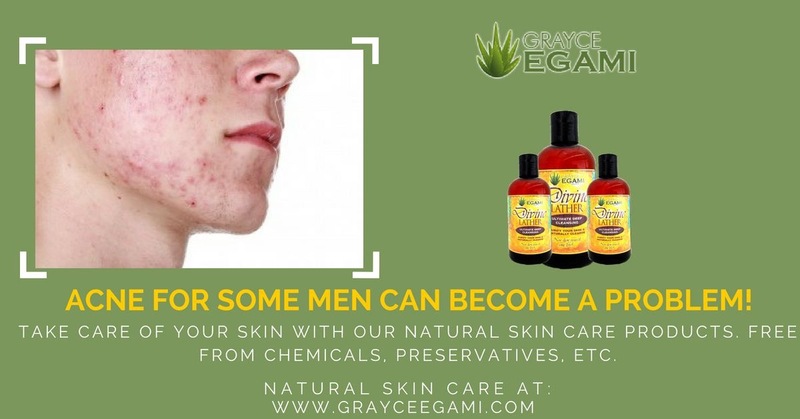 May reduce skin discomforts, itching, dryness, and/or insect bites. Contains soothing ingredients which may calm troubled skin. Does not contain alcohol. Evens our surface porosity and deeply conditions dry patches. Provides active ingredients from plant botanicals and therapeutic essential oils. Contains antioxidants to protect against oxidative stress. 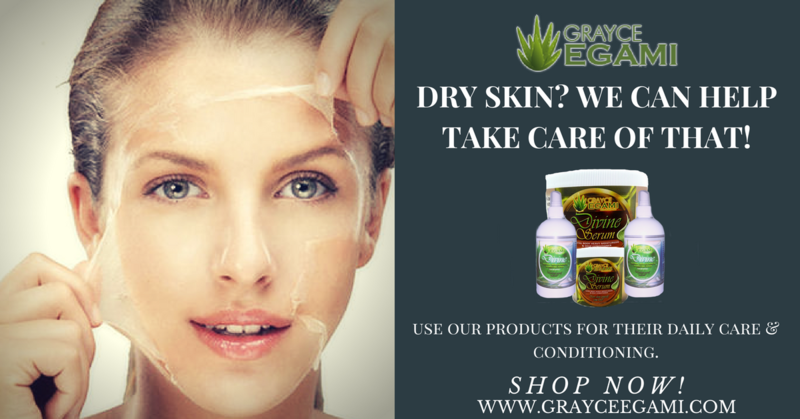 Aides to keep skin smooth, supple, and conditioned. Use as a light facial or body moisturizer. We know that Superior supplementation is important when trying to achieve healthy skin. Essential Oils have been revered for centuries for their restorative properties for the body. Our whole food nutrition program is perfect for repairing and developing strong skin, Fast. When you’ve had itchy skin over time your skin can become torn, bruised, sore, thin, and sensitive to touch. Our wholefood program feeds your skin from the inside out. It will provide the best way to fuel your body with fruits and vegetables daily. Wholefoods promote healthy skin regeneration. 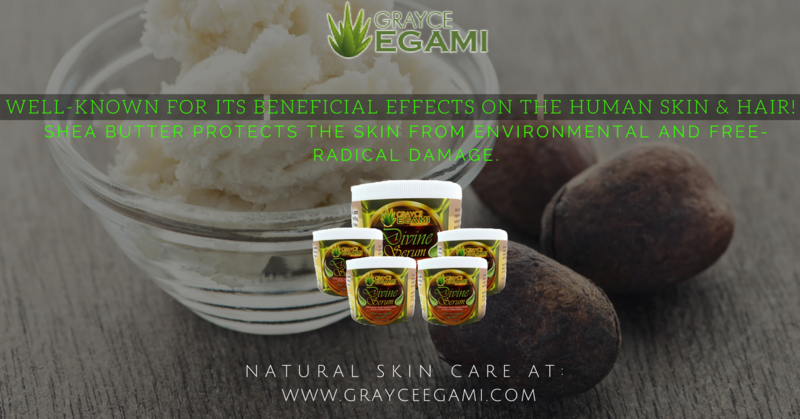 Disclaimer: Do not use any Grayce Egami Products if you have an allergy to Shea Butter Products. This Product has not been FDA approved and is not for oral consumption. This Product is not a Medicine, and can not be used to Treat any Disease, Severe condition, or Sickness of any kind.